Windsor Castle has long been seen as a symbol of the British Monarchy and a significant British landmark. During its long history, Windsor has played host to nearly every monarch from Henry I in the 12th century to the current Queen. Some monarchs have never left. 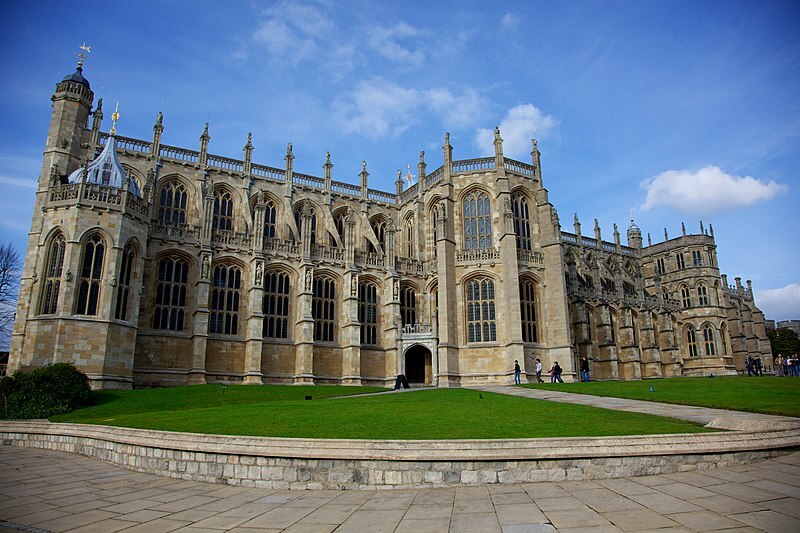 St George’s Chapel lies at the heart of Windsor Castle and dominates the scenery around Windsor and nearby Eton. From the wedding of Prince Albert Edward (later Edward VII) and Alexandra of Denmark in 1863 to the recent royal wedding, the Chapel has seen many historic events. The chapel dates from the 14th century and is the prestigious home of the Order of the Garter formed in 1348 by Edward III. The membership of the Order never exceeds twenty-four and is by appointment of the sovereign. Members of the British Royal Family and other foreign royals are not counted among the twenty-four. The Quire of St George’s was the first part of the Chapel completed in 1483. Henry VIII and other later monarchs made significant additions to the Quire. In 1475, Edward IV built a new chapel which would become his final resting place less than ten years later. In 1484, the grave of the deposed King Henry VI would become a place of pilgrimage for many across the country who sympathised with the Lancastrian cause. Windsor would remain a favourite burial-place for many monarchs. Henry VIII and his third wife Jane Seymour, interred in 1547 and 1537 respectively, were only a couple. Other burials include Edward VII and the current Queen’s father and mother, George VI and the Queen Mother. The burial of the ill-fated King Charles I in the chapel in 1649 caused controversy among many who supported Cromwell. Buried alongside Henry VIII and Jane Seymour, Charles remained in an unmarked grave until William IV placed a stone and inscription over the grave a few centuries after. Also buried within the same tomb is a stillborn son of the unfortunate Queen Anne. One of the saddest Royal deaths commemorated in the Chapel is that of Princess Charlotte, heir of George IV. 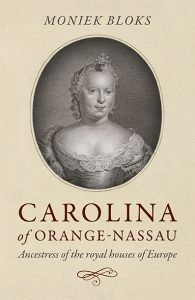 Tragically, Charlotte died in childbirth with her stillborn son at the tender age of twenty-one. Charlotte had been a beacon of hope for the country during her lifetime. The premature death of the heir to the throne devastated both her family and the country. George IV created The Urswick Chapel in honour of Charlotte and her child. The chapel remains a lasting memorial to the Queen England never had. The death of Princess Charlotte eventually resulted in the accession of her niece and cousin Victoria. The chapel has remained mostly unchanged since the restoration of the Albert Memorial Chapel in 1863. The chapel contains the tombs of Queen Victoria’s youngest son Prince Leopold and Prince Albert Victor, the eldest son of Edward VII. The royal wedding of Prince Harry to Meghan Markle in May this year is evidence of the lasting importance of the Chapel, both to the Royal Family and to the nation. Hello! My Name is Holly, I live in the UK and I am fascinated by history! I especially love the Borgia's, French Royal History and Queen Victoria's relationships with her children. I hope my passion for History comes through in my writing!